G’s sister Lesley lives in Seattle, and isn’t able to make it home to Wisconsin this year for Christmas, so we’re sending a little holiday care package her way–gift wrapped from the inside! 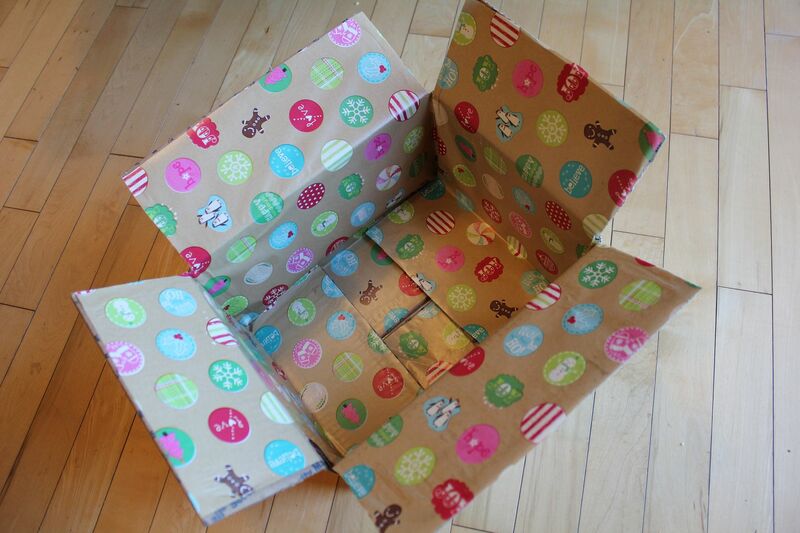 First, line the inside of the box with holiday wrapping paper. All sealed up and ready to mail! 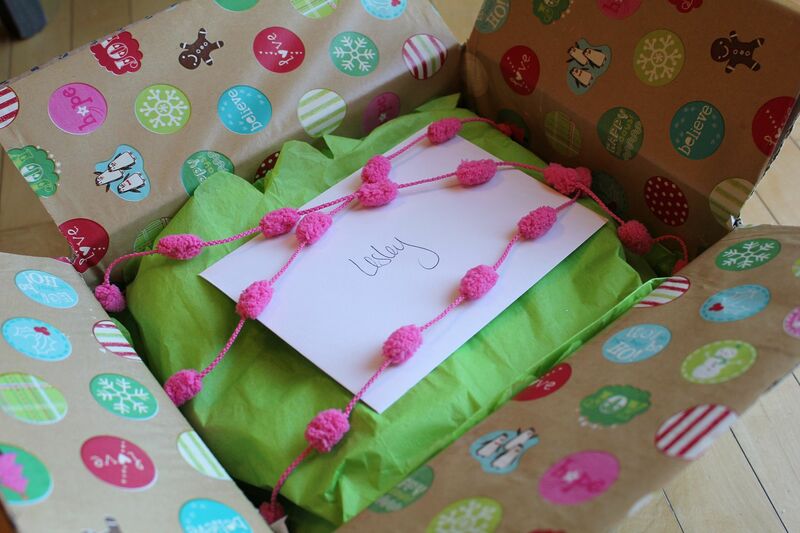 Gift-wrapping the inside of the box is my favorite way to add an extra personal touch to a care package–and it’s so easy to do! You can check out other gift-wrapped care packages I’ve sent (and see more detailed instructions on how to do it) here and here. Only 6 more shopping days until Christmas! Who’s ready? This is awesome! I already shipped all my presents to family on either coast, but I will definitely be doing this in the future! Thanks for sharing. @jbhat–I think I knew that! Have you mentioned it before? G and I will be visiting sometime this spring. We should meet up! Oh.. Have that same wrapping paper under our tree! Love it! Love how u wrapped the the inside of the box. what an awesome idea! 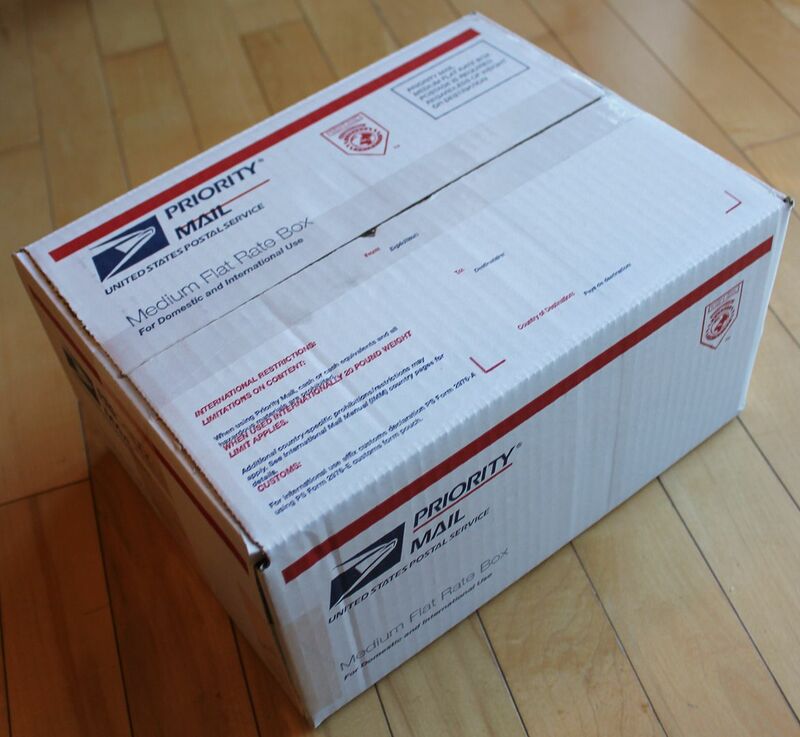 I already sent my boxes off but love this idea for the next shipment. thanks for sharing. your sister will be thrilled. I love Seattle (ironically I’ll be visiting in the spring as well). If you’re looking for something to do, my favorite spots to visit include: Columbia Winery, Chateau Ste. Michelle, and Red Hook Brewery. The last time I was there visiting my brother, I had to steal his camera, copy over pictures of Pike Place Market and the Space Needle so it looked like I did other things besides go on a grape crawl. Happy Holidays! And stay thirsty my friends! Merry Christmas and happy holidays to everyone. I’m just stopping by random blogs today and checking them out. Also wishing you folk’s a healthy and happy new years. Richard from an Amish community in Pennsylvania. I would LOVE to meet you guys!! OMG! That would be simply wonderful. Let’s be in touch. Hooray for spring! I love this idea! Now, just need someone to send a care package to. Such a cute idea! Imagine her surprise when she opens it up! I love it! Cute!! 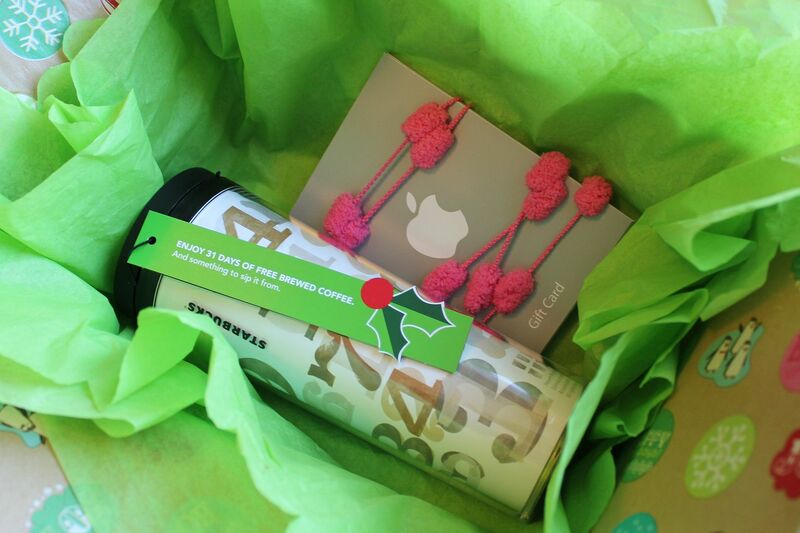 What an awesome idea… I’m sure she’ll love opening it up. I’ll have to tuck this idea away for when I’m sending treats to long-distance friends. Thanks for sharing! @Anonymous–That’s a great idea! Maybe after the holidays. G and I are boring. We got her little things for her stocking and contributed to her college fund. We figure at this age she gets plenty of presents from others (and doesn’t know the difference!) so we keep it low-key on our end. Oh wait. That’s kind of a lie. I did buy an activity table that I’ve been eyeing for over a year for her. It went on sale, free shipping, etc. I was going to buy it anyway, but considering the timing we’re calling that her Christmas/Birthday present, hahaha. @Rebekah–Is that wrapping paper the cutest? Thanks! @Manda–That sounds about like how I vacation too, hahaha! Lucky for us, G’s sister got Kate the book “Goodnight Seattle” which highlights a bunch of touristy things to do in Seattle. Thanks to the book we may have our sights already scoped out–Gas Works Park, the Experience Music Project, the Pacific Science Center, Pike Place Market, Seattle Space Needle, Seattle Aquarium, etc. We know all the spots (as long as they look similar to the cartoon drawings in the book, lol)! @jbhat–Shoot me and email and let’s try to make it happen! allthingsgd (at) yahoo (dot) com. This is a great idea and I’m glad I bookmarked it. My Mommy friends group is doing care packages for Valentine’s Day and I can’t wait to send my Mommy friend an adorable package that’s just as fun as the goodies inside!! !